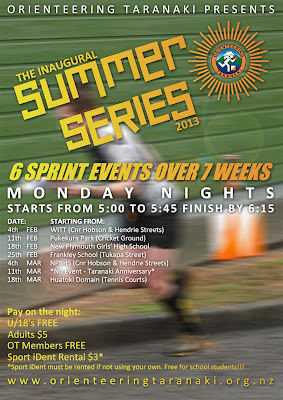 Between 4th Feb and 18th Mar Orienteering Taranaki is running a series of sprint events on our great little urban maps. Dates and details are on Maptalk accessible from the 'coming events' side bar on the right of this blog site. We're back in form...... the slick team of Sas, Annie, Micheal W, Don and Karl did a great job of taking OT to the winners podium at the annual Katoa Po night relay. Well done to the Taranaki Turkeys. 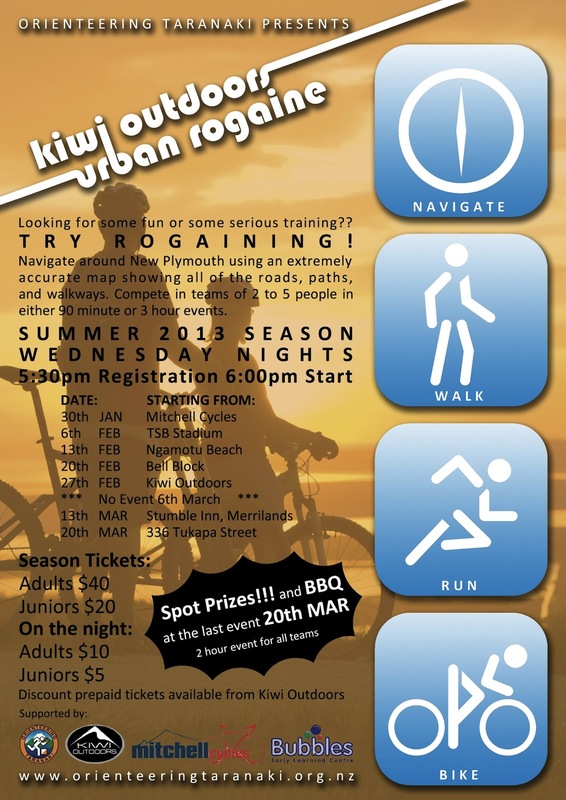 The summer rogaine series starts on 30th Jan from Mitchell Cycles. We have a series of 7 events planned for you, with a break on 6th March. 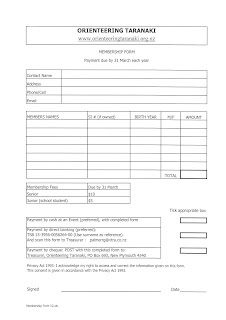 Get your prepaid season tickets from Kiwi Outdoors soon (cash preferred please).